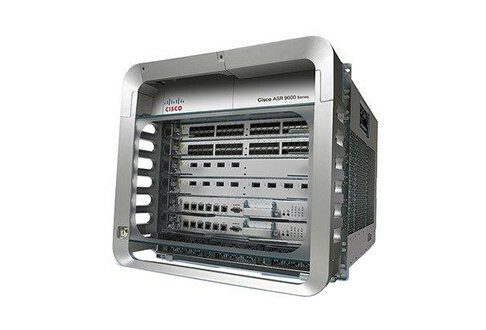 Aggregation Service Routers from Cisco give you the cutting edge for today’s modern routing. Units in the Cisco ASR 1000 series are providing the best in routing capabilities at a price point designed for a wider range of businesses. You’ll still get the security, performance and integration superiority you know and enjoy with Cisco, but you’ll also save money, thanks to the smarter device build and compact form factor. Grab onto your ability to transform your enterprise network edge into a leading tool. Worldwide Supply is a leading provider of used Cisco ASR 1000 series and ASR 9000 series router equipment; because we offer thorough testing on everything we touch and back it with a standard lifetime warranty. We adhere to the highest international standards for telecom industry suppliers, and when you purchase our NetGuard Maintenance Services, our certified engineers are available with 24/7 support in case you ever need a hand. We want to be your only stop when you need new or refurbished Cisco ASR products, because we get them to like-new quality while you save with a smart, refurbished price. Use the options below to find your perfect used Cisco ASR equipment.